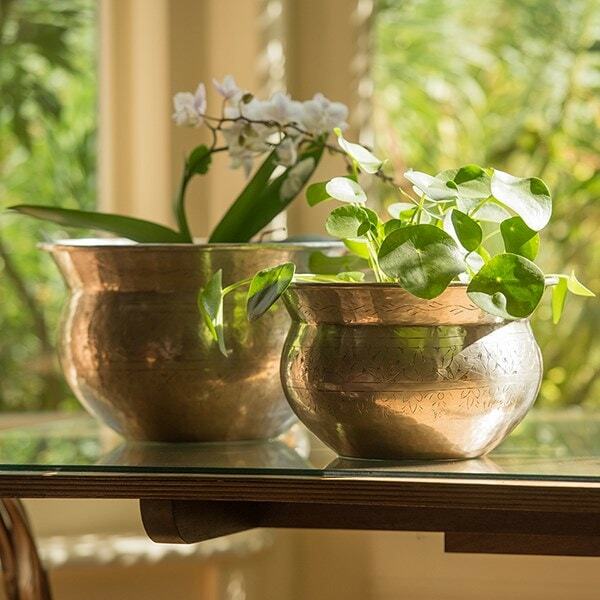 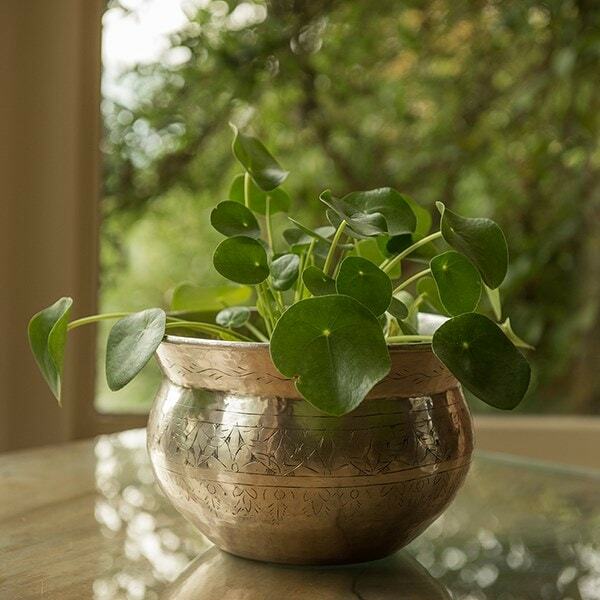 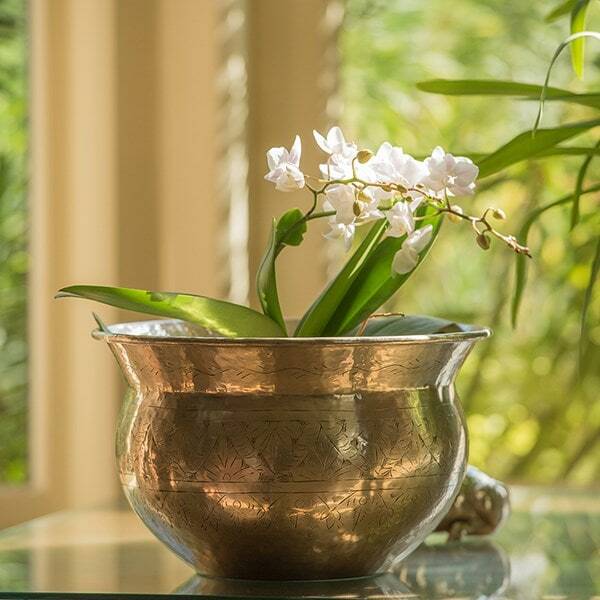 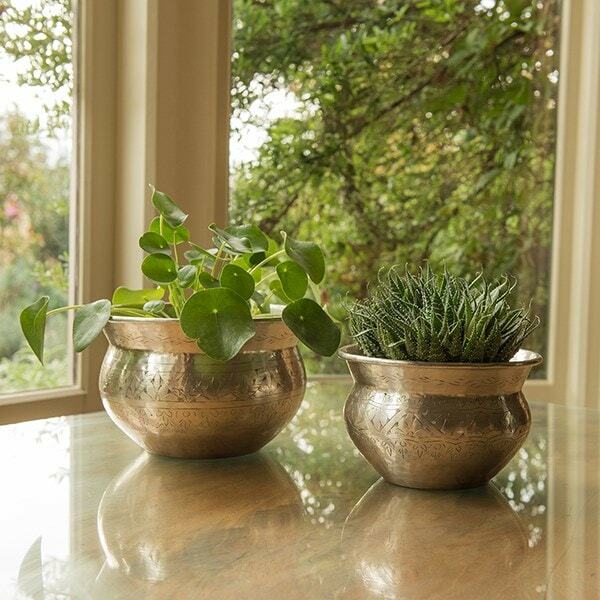 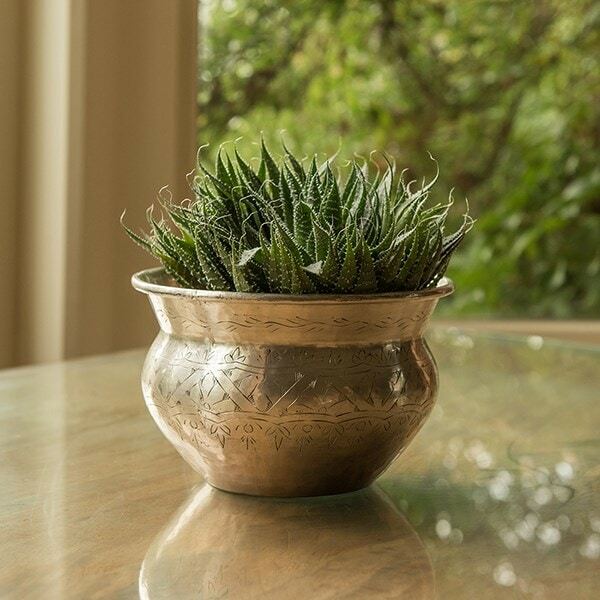 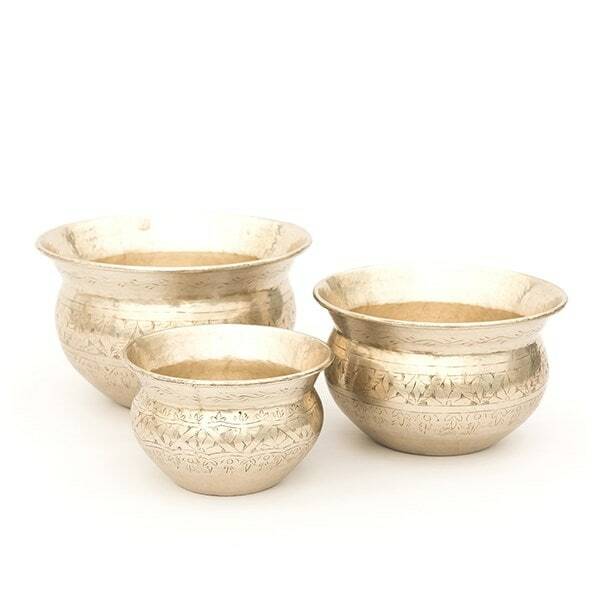 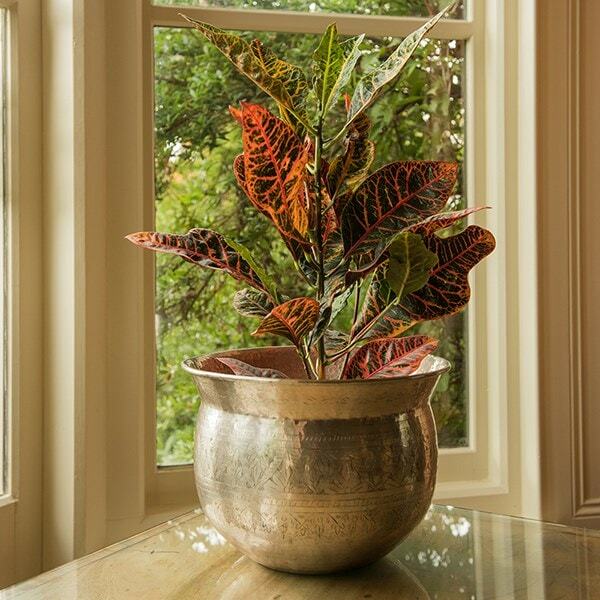 Handcrafted silver pot covers made from solid brass with a gleaming silver-plated finish. 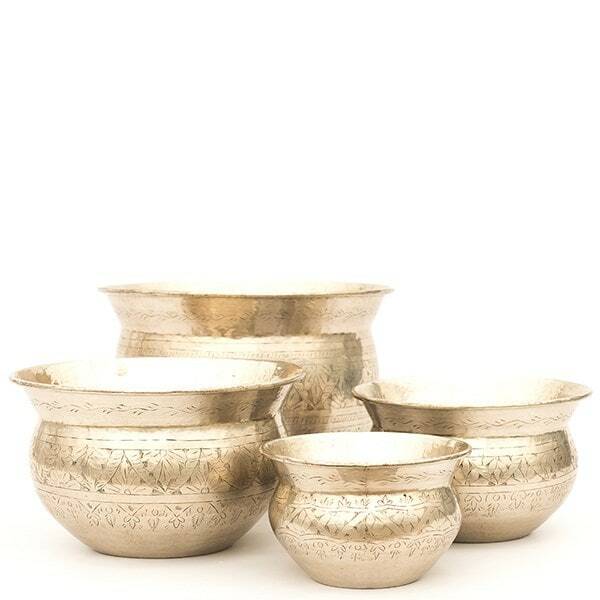 Each has been carefully etched with a traditional Indian design. 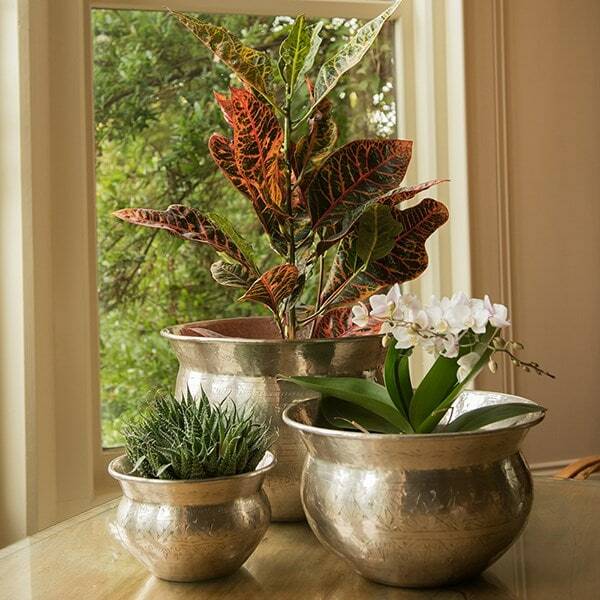 Supplied without drainage holes for use indoors.